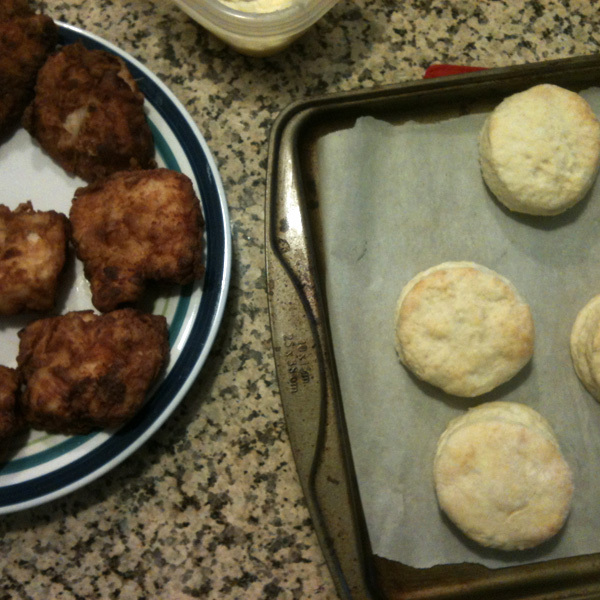 We got the genius idea to make chicken and biscuits for breakfast last weekend. I made the biscuits and honey butter, and the guy took care of the chicken. 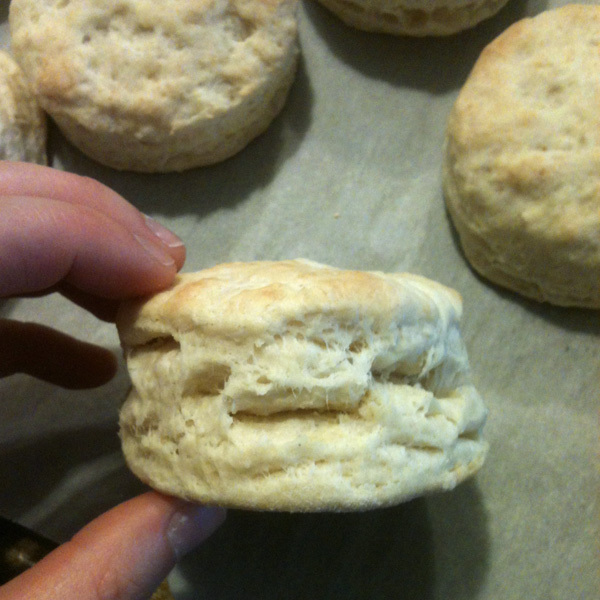 Do you see the flaky layers of those biscuits? Its like they are welcoming the chicken home. 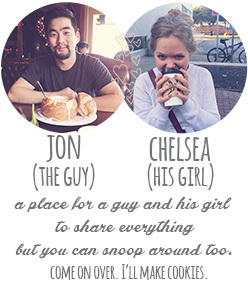 We used this recipe here. This entry was posted in Eat and tagged biscuits, breakfast, chicken, cook, Food, fried chicken, honey butter, southern food, yum on January 15, 2013 by Chelsea.